You will have enough Sage available to perform a few smudging ceremonies. 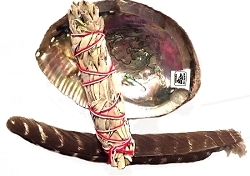 If you are new to smudging, it may be a good idea to purchase one of the Sacred White Sage Smudging Kits we sell here in our store. The kit has everything you need to start smudging. 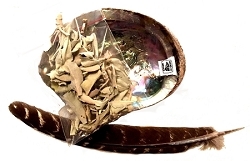 This Sacred White Sage Smudge Kit includes Sacred White Sage, One 5" Abalone Shell, One Feather for disbursing the smoke during the smudging ceremony and a set of instructions. 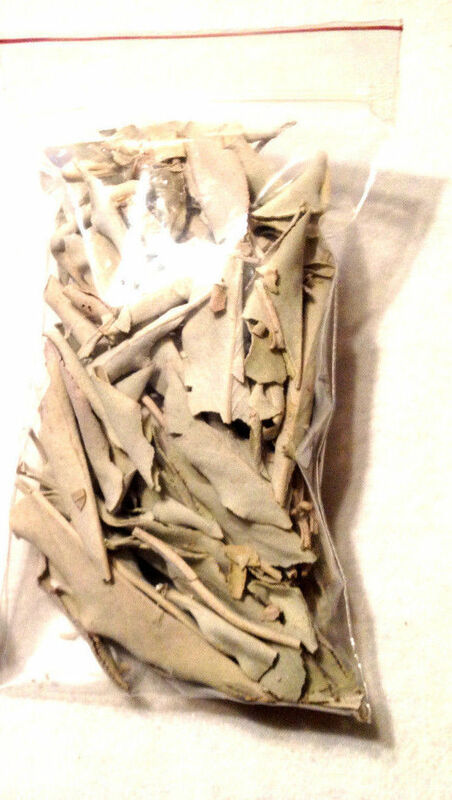 After you have used all of the Sacred White Sage included in the kit, you may reorder more by returning to this listing so be sure to save our store on your "save this seller" list. Native Americans have used Sacred White Sage during smudging ceremonies for centuries. The smoke of the Sacred White Sage is used to remove bad energy, purify and cleanse anyone or anything. This sage has a wonderful scent. If you feel like you are surrounded by bad energy, a good smudging may be all you need to clear the pathway for good energy to flow back in. We also include instructions on how to use your new smudge stick. If you have any questions about smudging, you may contact us anytime. We love to share our knowledge of ways to make your life a better place to live.